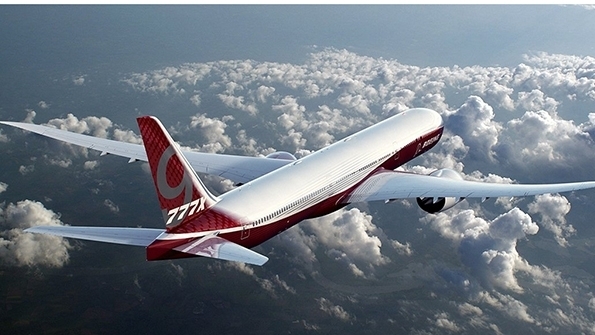 The development of the 777X is quietly moving forward. 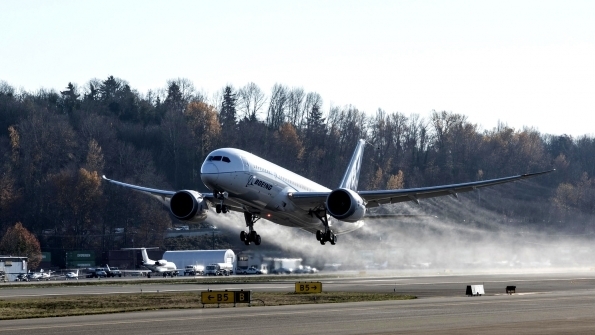 German manufacturer Liebherr has delivered the first prototype of the actuation system for the 777X folding wing-tip. The step will enable initial testing on a rig to begin in mid-year, the company’s Liebherr-Aerospace Lindenberg division states, revealing that proof-of-concept prototype was handed over at the end of February. Liebherr says the delivery shows “substantial progress” has been achieved in developing a “compact and reliable” wing-tip actuator. 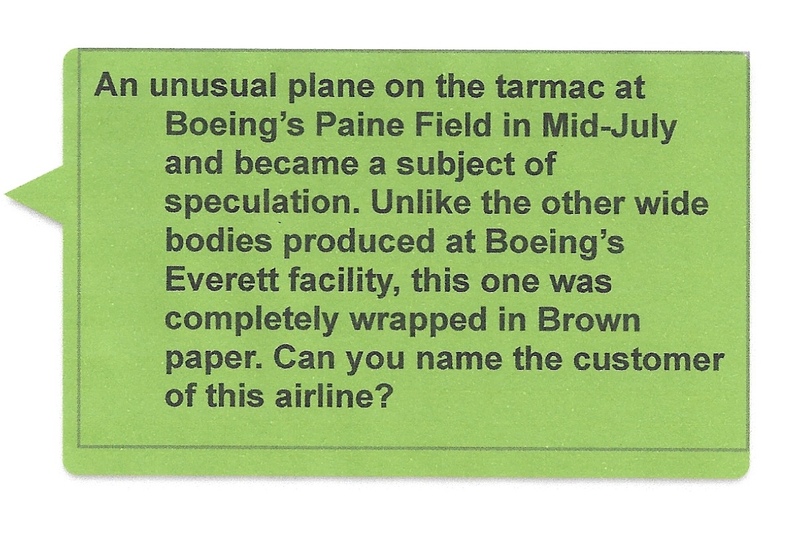 The 777X is to use a folding wing-tip in order to reduce its 235Ft (71.8) span by 7m when parking. Boeing selected Liebherr to develop the folding assembly, which uses motors and rotating actuator at the end of 2014. The Aircraft, MSN59, has spent one and a half months in Station 40 in FAL. On April 14th, the A350-1000 left its station 40 position and entered in the station number 30, where the initial ground testing of the aircraft systems takes place. After that, the aircraft will be moved out of the FAL to undergo complementary tests, painting, engine installation, cabin fittings and it will be finally handed over to the Flight Test Center. 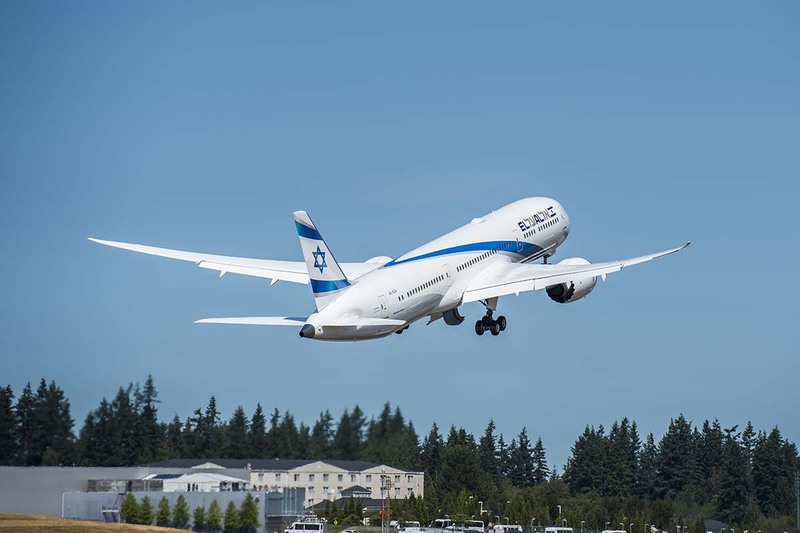 This aircraft, one of three flight test aircraft to be built, will take to the skies for its maiden flight before the end of 2016, with delivery expected to occur in mid 2017. So far, Airbus has won 181 A350-1000 orders from 10 customers. 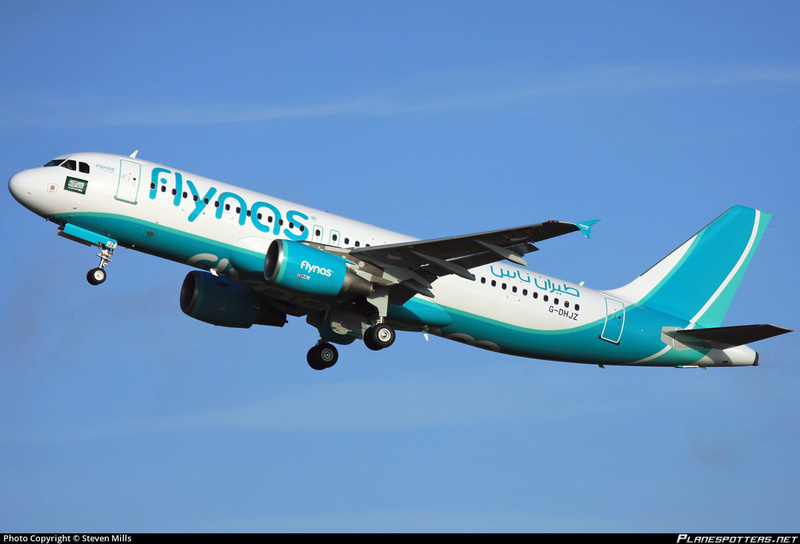 Launch customer is set to be Qatar Airways, who also was the launch customer for the -900 variant. 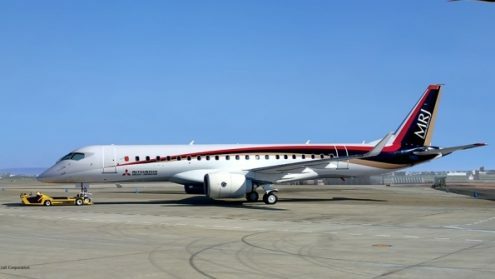 Mitsubishi Aircraft says the second prototype for its MRJ regional jet program is undergoing engine tests, as it readies for its first flight. In a newsletter, the Japanese manufacturer says FTA-2 will move forward with taxi tests this month, followed by flight tests. This follows the completion of the first phase of flight tests for the FTA-1. On April 13th, FTA-1 started receiving “planned modifications” that will be completed in the middle of this month. It will also be fitted with instruments necessary for upcoming tests. Mitsubishi says it has been conducting flight tests on FTA-1 on consecutive days since mid-March, whenever weather conditions permit. These tests include flying with only one engine and auxiliary power systems, as well as a functional check on the emergency power generation system. The MRJ is scheduled for first delivery in mid-2018. Mitsubishi is using five test aircraft for the flight campaign. South African carrier Comair has carried out the first large passenger jet landing at the new St Helena airport. 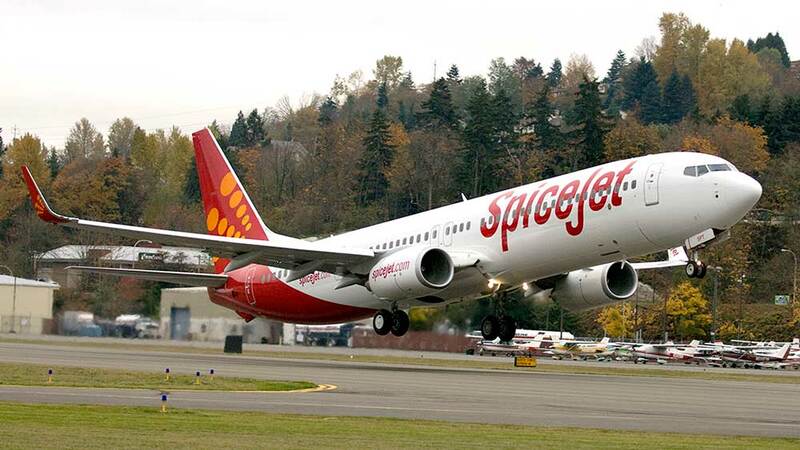 The Carrier operated a Boeing 737-800 which touched down just after 12:00 noon on April 19th. British Airways franchise partner Comair recently took delivery of the aircraft – painted in BA livery – which has been configured specifically to serve the Johannesburg-St Helena route. The initial operation to the island airport was an implementation flight to test the route, ground operations and handling, ahead of commencement of scheduled services. “We did a few practice approaches just to make sure we understand the approach,” says the carrier’s operations director, Martin Louw. “ Safety is always paramount”. 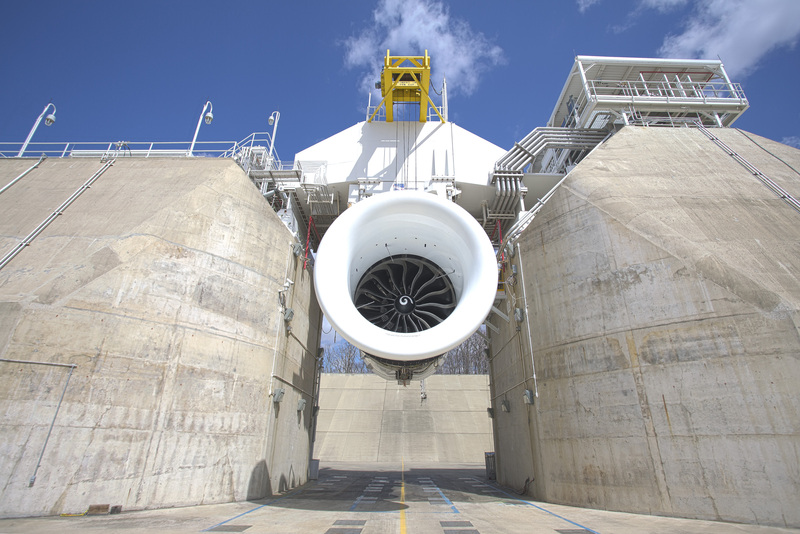 The FAA and the European Aviation Safety Agency (EASA) have awarded type certificates to CFM International’s LEAP-1B engine, paving the way for entry into commercial service in 2017. 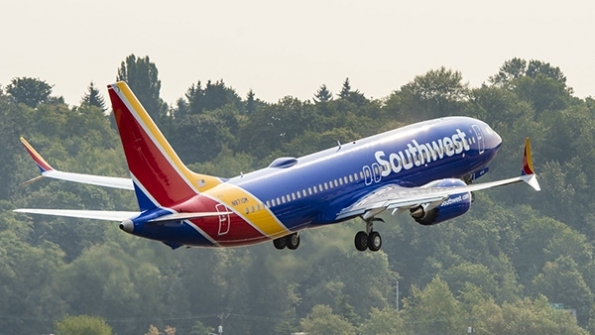 The LEAP-1B engine is the exclusive power plant for the Boeing 737 MAX. European plane maker Airbus plans to cut production of its A380 from 2017 as it struggles to revive sales of the world’s largest passenger jet. It has told its suppliers to slow production to support an assembly rate of 1.7 aircraft per month from next year, compared with production of just over two a month now. The exact month in which the slowdown would be felt in Toulouse assembly plant was not immediately clear. Airbus declined to comment on talks with suppliers. The company does not publish production figures for its biggest model, but only targets deliveries. 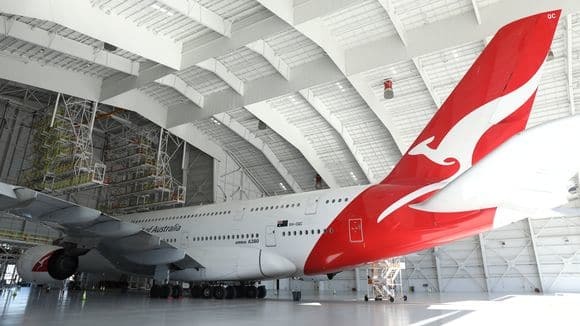 Sales of large four-engine airliners like the 544-seat A380 have been hit by improvements in range and efficiency of smaller two-engined models, which can be easier to fill. Last year it delivered 27 A380s and has said it expects to continue to break even based on similar deliveries in 2016. 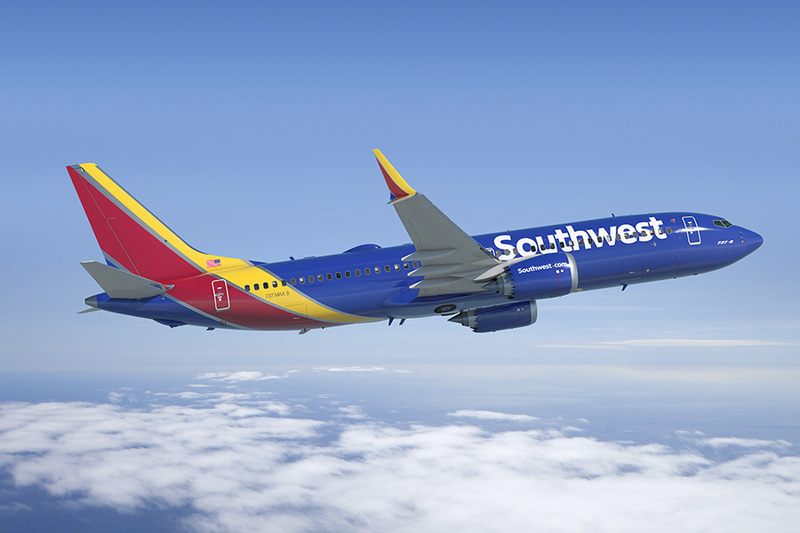 It meanwhile continues to cut costs in an effort to lower the break-even point to as low as 20 aircraft a year. In February Airbus Group Chief Executive Tom Enders said it had between 20 and 30 A380s on its delivery list in 2017. At the end of March, Airbus had 135 aircraft on its books that have been sold and are waiting to be produced, mainly for leading customer Emirates which recently topped its order. 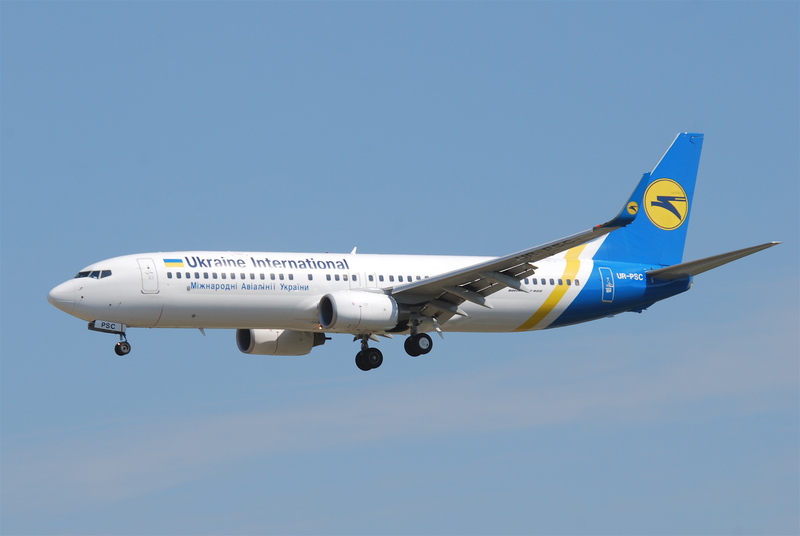 But after deducting aircraft that are unlikely to be delivered, analysts say the order situation is weaker. Air France Has canceled two and replaced them with A350s. 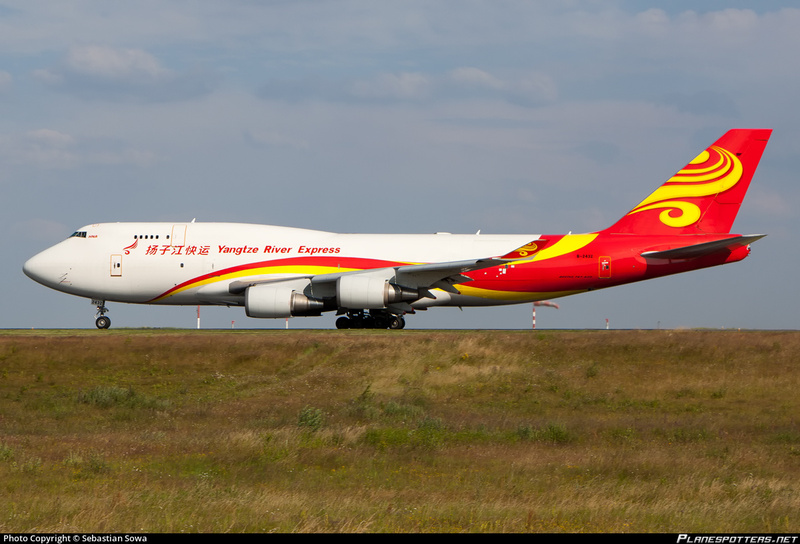 Another 10 listed anonymously are believed to have been canceled by Hong Kong Airlines and 20 are allocated to leasing firm Amedeo, which are seen as unlikely to enter production until the lessor places them with airlines. 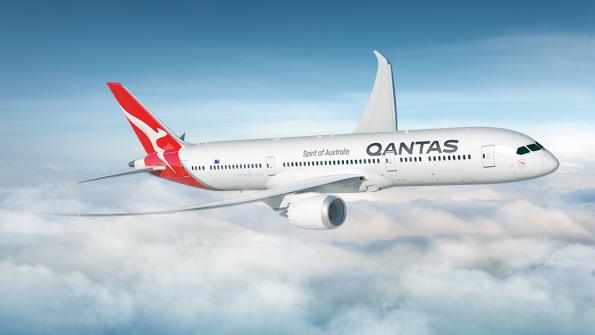 Analysts also say Qantas and Virgin Atlantic are unlikely to take a combined total of 12 of the jets. The Project received a boost earlier this year when Iran announced a preliminary order for 12 A380s as it emerges from sanctions, but doubts remain over how quickly the order can be finalized as Iran faces continued financial restrictions. CFM International has delivered the first ship set of LEAP-1A production engines to Airbus to power the A320neo. 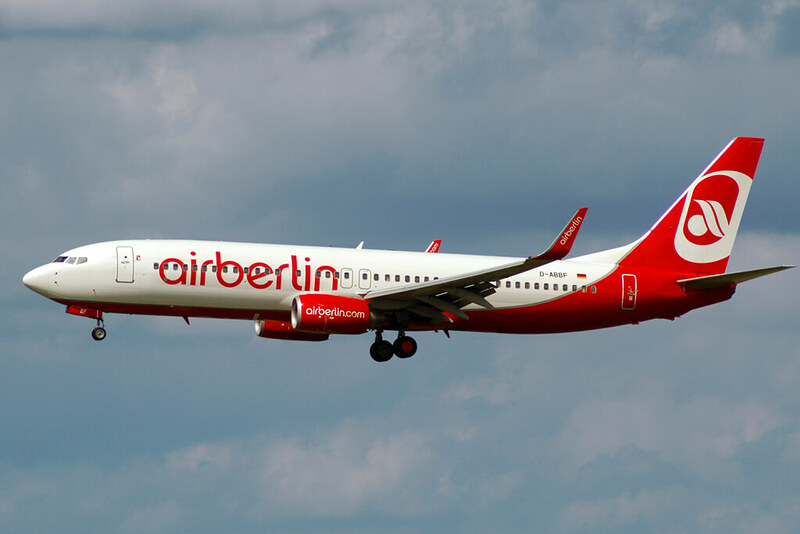 Avianca Holdings, one of Latin America’s largest airline operators, said it has negotiated a ‘significant reduction” in aircraft deliveries from 2016-2019 with Airbus. Avolon delivered one Boeing 787-800 to Thai Lion Air. This is the First Avolon aircraft on lease to Thai Lion Air. 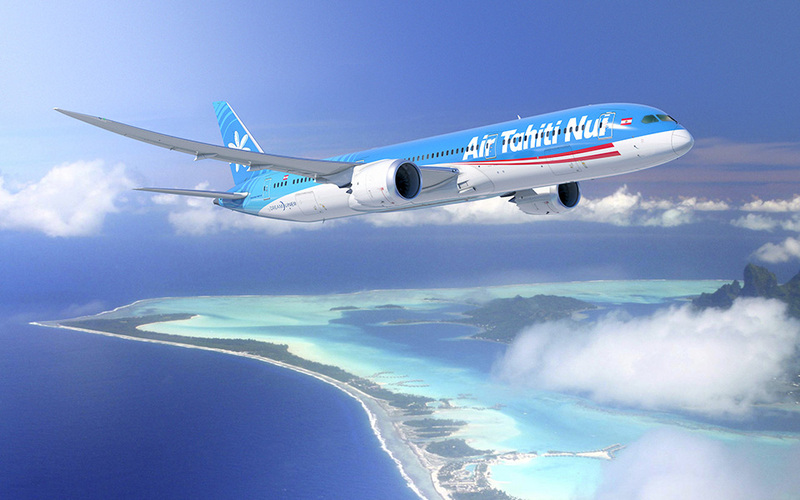 GE Capital Aviation Services (GECAS) delivered a leased Boeing 737-800 aircraft to its new Thai customer, NewGen Airways, to expand the carrier’s fleet. Trident Jet (jersey) Ltd., a sister company of UK-based lessor Falko Regional Aircraft, has ordered four more Bombardier CRJ 900s for lease to Irish regional CityJet. Avolon Ireland-based delivered one Boeing 787-9 aircraft to UK long-haul specialist Virgin Atlantic. 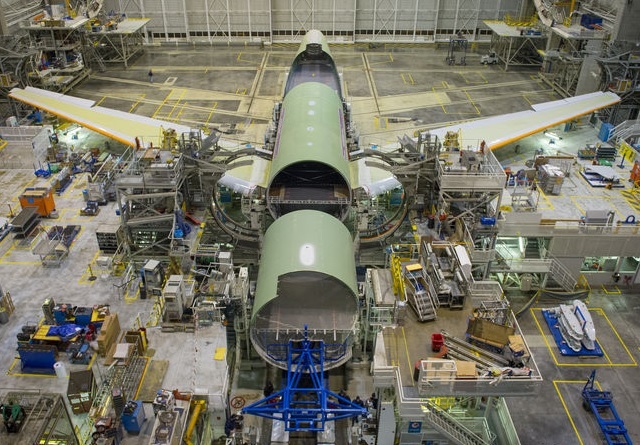 Airbus has rolled out the first US-built American Airlines A321 of the paint shop at Mobile, Alabama facility. Horizon Air has ordered 30 Embraer 175 aircraft, with half earmarked for growth under the widely anticipated order. The deal is worth $2.8 billion at list prices including 33 options. 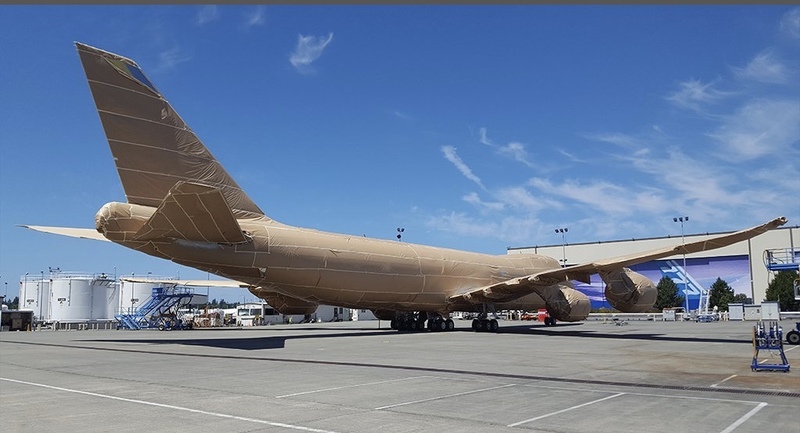 Fuji Heavy Industries (FHI) has completed the construction of a facility to manufacture center wing boxes for the 777X at its Handa plant. Honda Aircraft delivered the first Honda Jet in Europe with a ceremonial delivery at AERO 2016 at Friedrichshafen,Germany. Honda Aircraft’s exclusive HondaJet dealer for Central Europe, Rheinland Air Service, will become the first operator of the aircraft in Europe. China United Airline has taken delivery of its 32nd Boeing 737 aircraft, which is also the 9000th 737 aircraft to be delivered by Boeing. LATAM Airlines Group has unveiled new aircraft livery featuring its new branding. 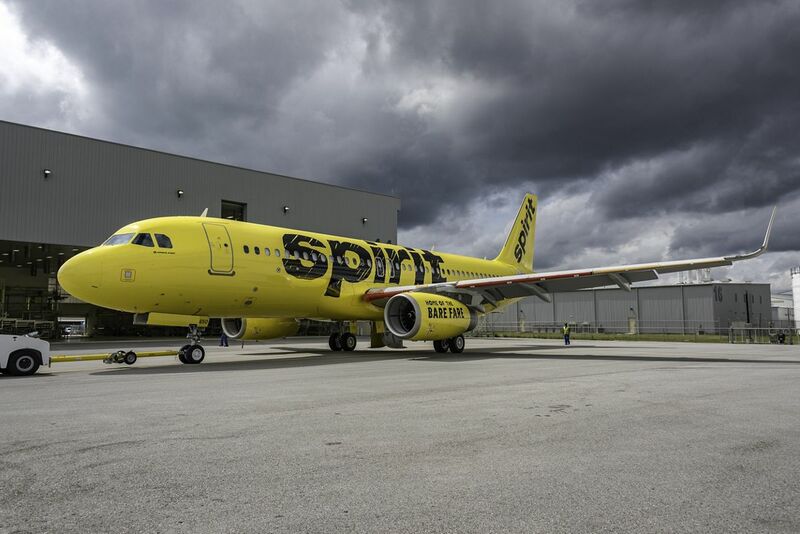 The Carrier’s updated livery features its new logo against an all-white fuselage, with its new corporate colors of indigo and coral on the tail. Swiss WorldCargo recently signed a partnership agreement with container manufacturer Va-Q-tec to provide passive temperature-controlled ULDs for the transport of pharmaceuticals and other sensitive goods. The signing ceremony was held at the Zurich offices of Swiss WorldCargo’s parent company, Swiss International Airlines Ltd.
Va-Q-tec offers an advanced passive solution portfolio of hard-shell containers that can accommodate up to two pallets at once and maintain temperatures ranging from -70C to 25C. The containers can be delivered to their customers fully temperature pre-conditioned for one-way retail shipments for more than five days on global lanes. 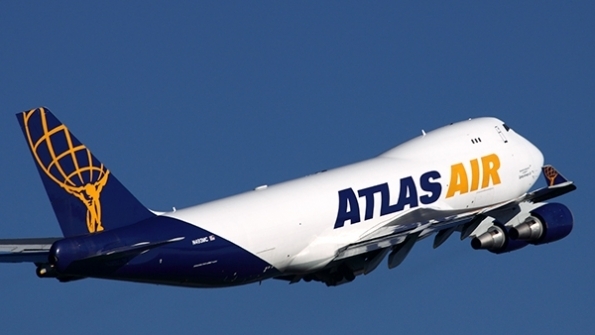 Under the agreement, the global product launch will take place in June, with Swiss WorldCargo and Va-Q-tec continuing to serve existing customers. Columbine’s number four engine was not airworthy anymore, so Brian Miklos borrowed a 3350 from another Lockheed Constellation which had recently flown and installed it on the airplane. The effort took a full year from March 2015 with a team alternating between three weeks in Arizona and two weeks at home in Virginia. It was an intense effort,” says Brian Miklos. Finally, the Dynamic crew took off in Columbine II on March 21, 2016, for the first leg of the cross country trip to Mount Pleasant,Texas, then resumed the trip to Bridgewater, Virginia, the following morning. The vintage Constellation logged about nine hours flight time and performed admirably.” At one point, we had 234 mph across the ground. The old girl was up and getting it done!” Miklos says. Karl Stozfus plans to restore Columbine II back to its Air Force One configuration and return it to the air show scene. Fortunately, a significant part of its interior is still intact. Miklos says Dynamic as obtained a similar galley from another Constellation and has detailed information on how the aircraft looked in presidential service. Boeing seems to be racking orders for military aircraft and it is not done yet. In late March, the US Defense Security Coorperation Agency (DSCA) — the Pentagon arm for coordinating sales of military equipment to our allies — notified Congress of an impending sale of military aircraft to the United Kingdom. According to DSCA’s March 24 notification to congress, the British government has requested permission to buy nine of Boeing’s P-8A Poseidon maritime patrol aircraft, plus related “major defense equipment, associated training and support,” for a grand total of $3.2 billion. The UK was looking at different platforms to replace its last retired Nimrod and in the end it appears the UK bit the bullet and decided to buy the Cadillac of maritime sub-hunting aircraft, Boeing’s P-8A Poseidon.